Suncor Energy (TSX, NYSE:SU), Canada’s largest oil and gas company, has increased the stock portion of its takeover offer for rival Canadian Oil Sands (TSX:COS) by 12%, resulting in a $6.6 billion friendly deal that closes a lengthy public confrontation between the two companies. The firm is now proposing to exchange 0.28 of a share for each share of COS, up from the original 0.25 offer. The announcement comes exactly a week after COS claimed victory over Suncor’s original $4.3 billion hostile takeover attempt. In a joint statement, the companies said that both boards of directors and major COS investor, Seymour Schulich, are all backing the revised offer, which will expire at 4 p.m. MT (6 p.m. ET) on Feb. 5 — nine days later than the Jan. 27 deadline that Suncor set after its first bid failed to win enough support from COS shareholders. 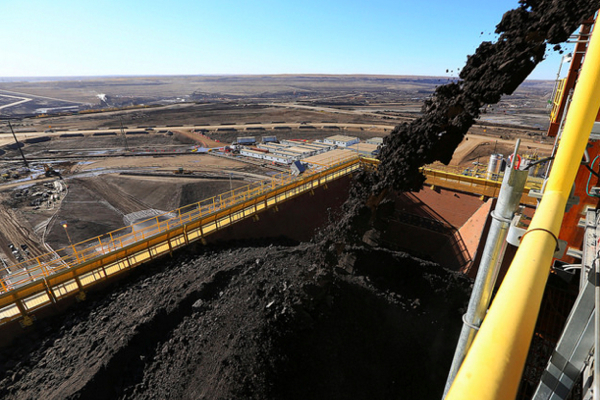 Canadian Oil Sands, the largest owner of the Syncrude oil sands consortium in Alberta, called Suncor’s original unsolicited offer, launched in October, too low. Suncor, which also owns a stake in Syncrude, claimed its offer was fair, particularly since crude prices have been tumbling amid concerns about excess supply and slowing global demand. However, Suncor yielded to pressure to sweeten its bid, as earlier this month it was forced to extend the deadline for acceptance of its initial bid. That was a sign it had failed to win sufficient support from Canadian Oil Sands’ shareholders to proceed with the offer. The newly reached deal would make of Suncor the largest owner of Syncrude, Canada’s biggest synthetic oil project. The firm is aiming for a 49% stake in the venture, up from 12% currently.